Want to know how JumpCloud® Directory-as-a-Service® integrates with Microsoft®’s Office 365™ platform for business? It’s simple to authorize JumpCloud to synchronize your Office 365 user identities into the cloud directory. You can read about how on our support page here, or watch the video below for a step-by-step walkthrough of setting up Office 365 with JumpCloud’s Directory-as-a-Service. 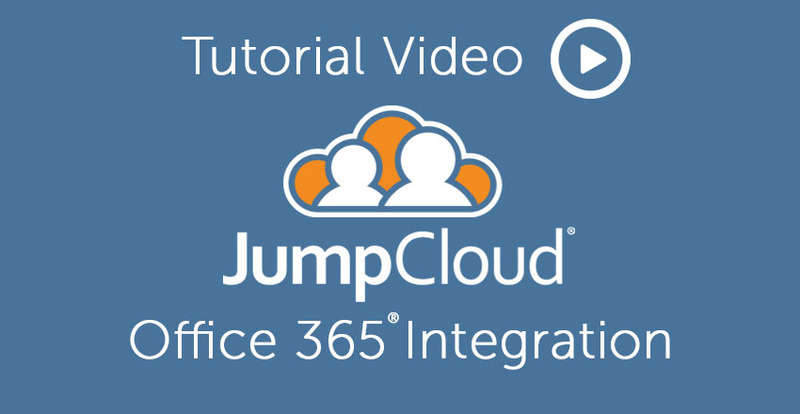 Office 365 integration with JumpCloud can be achieved in just a matter of minutes. 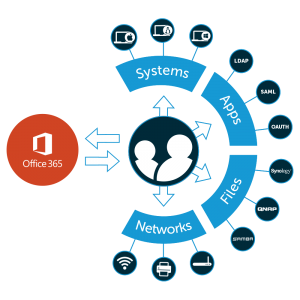 Once you’ve merged the directories, you can extend Office 365 identities to systems, apps, and network resources. Questions About Office 365 Integration? Please don’t hesitate to ask us if you have any general or technical questions about how JumpCloud works with Office 365 accounts. We’re always happy to help. You can reach out to on our contact page or find us on Facebook or Twitter. JumpCloud’s Directory-as-a-Service is free forever for your first ten users. Sign up for your free account today.